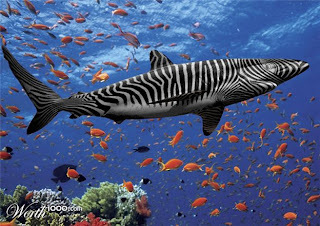 Animal Wildlife | Zebra Shark | The zebra shark is a medium-sized species of shark,that is found in the warmer coastal waters and around tropical coral reefs.Zebra sharks are most commonly found in the Indian and South Pacific oceans.Zebra sharks can grow to nearly 3 meters in length and can get to be 30 years old in the wildZebra sharks that are kept in captivity generally do not exceed 15 years of age.Zebra sharks can be identified by the yellow spots that are present on the back of the zebra shark. 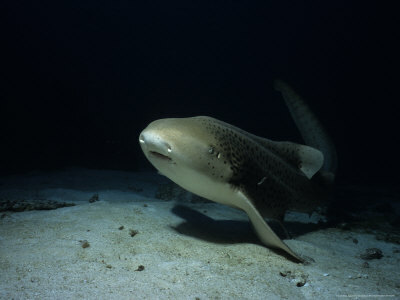 Zebra sharks have a long, flattened body which helps them to remain unnoticed on the seabed. The zebra shark also has a long tail which allows it to be more agile in the water. 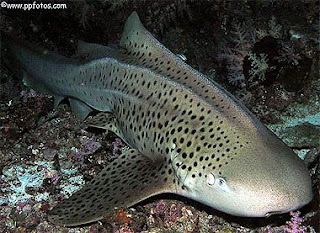 Zebra sharks move their tails from side to side when they swim, in an eel-like manner. Zebra sharks are omnivorous animals but tend to have a more meat-based diet. 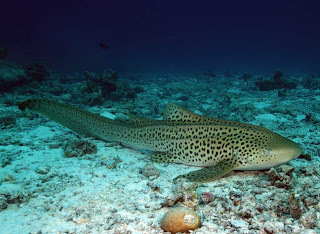 Zebra sharks feed on small fish, crabs, shrimp, snails and other small invertebrates along with squid and sea snakes which they forage for in the coral reefs. Due to their relatively large size, zebra sharks have few natural predators as they are fairly dominant predators in their environment. 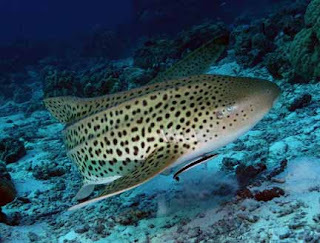 Larger species of shark such as tiger sharks and bull sharks are the main predators of the zebra shark, along with humans who hunt them for their meat and fins. The female zebra shark lays an average of ten large eggs which hatch after an incubation period of around 5 months. The baby zebra sharks are nearly half a meter long when they first hatch. 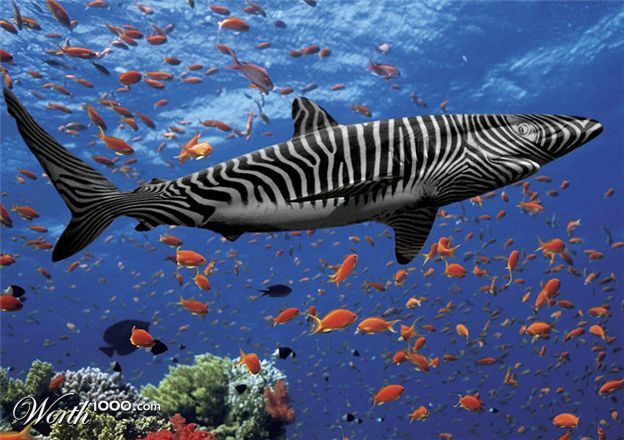 0 Response to "Zebra Shark"